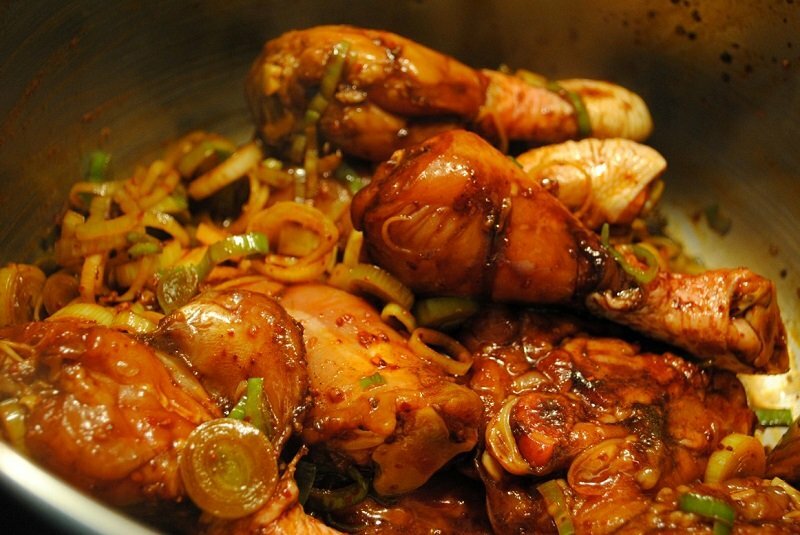 Prepare Home Cooked Stew Chicken with Rice & Beans with our Belize Recipe! This Belizean combination is without a doubt the most abundant meal in Belize. From north to south, east to west and out on the cayes, you won’t go anywhere without coming across a plate of Stew Chicken with rice and beans. With our easy to make recipe you can enjoy some Belizean flavour in the comfort of your home. Season with, vinegar or lime juice, red recado, salt, pepper, thyme, cumin, cilantro. Heat 2 tbsps. Cooking oil, add brown sugar and watch carefully to avoid burning. Let sugar cook until completely melted and turns dark brown. Add clove of garlic that has been smashed and chopped as fine as possible. Add ginger and fry, stirring, remove ginger when it gets brown. Add chicken and brown properly on all sides. Add remaining seasoning from chicken, chopped onions, sweet pepper and tomato and add about a half cup of water. Reduce heat to medium and cover pot. Let simmer, adding water so that pot is never completely dry. Cook for about 1 hour until chicken is very tender. Boil beans with garlic, onion, until tender. Belize Tourism 2014: A Very Good Year! An Amazing Spa Experience in the Jungles of Belize! I love it. I just cooked it this afternoon. It was not as delicious as yours. I was in Bze 14 years ago. I studied at UB RLC by 2004. I really love your all your style food. I wish I go back to Bze, a wonderful place.